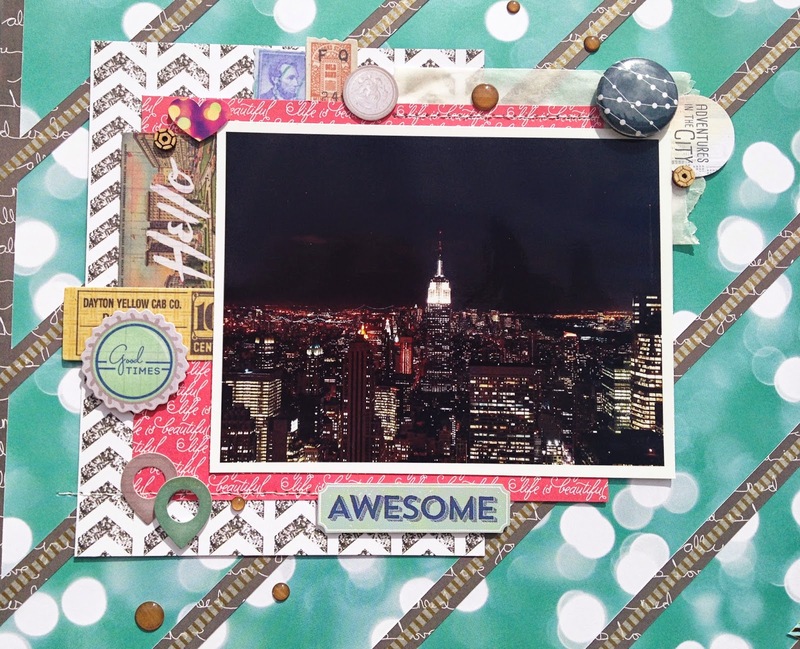 Today I'm sharing a layout made with the Clique Kits July kit A Midsummer Nights Dream. 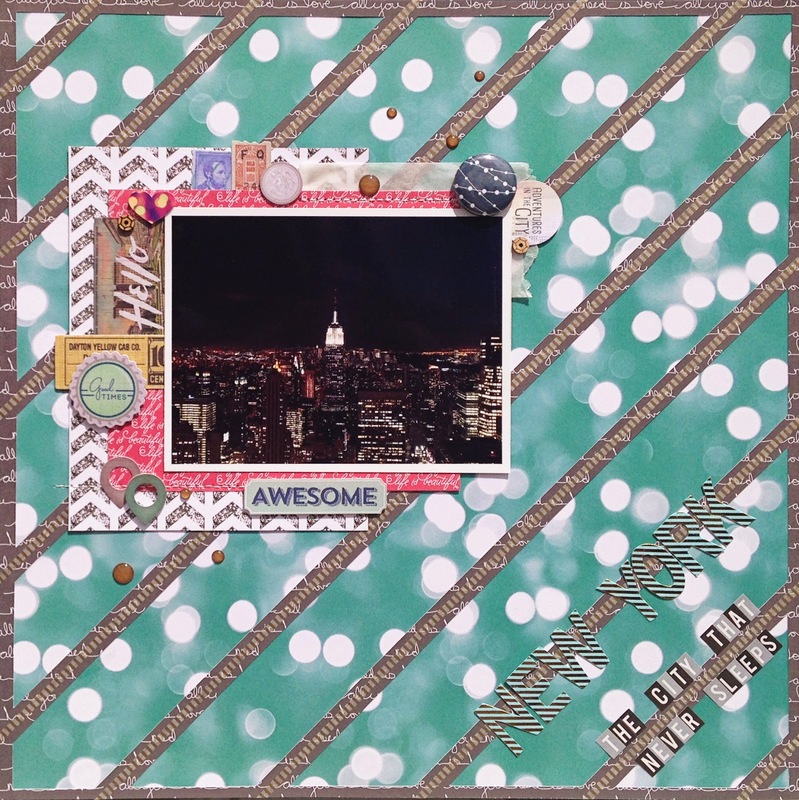 This kit is loaded with the Echo Park Paper Capture Life collection and embellishments from Crate Paper, We R Memory Keepers and Pinkfresh Studio. For my first layout with this kit I used a picture of New York by night, with in the middle the Empire State building. The Clique kits always come with some exclusive cut files and the striped background is one of this month's cut files. Of course I had to use the Bokeh Teal paper for the background as well, it's a perfect fit for the night picture with all the lights. I used the Pinkfresh Studio gold foil alpha for my title and placed it diagonally to fallow the design of the striped background. The small alpha stickers are from Studio Calico. 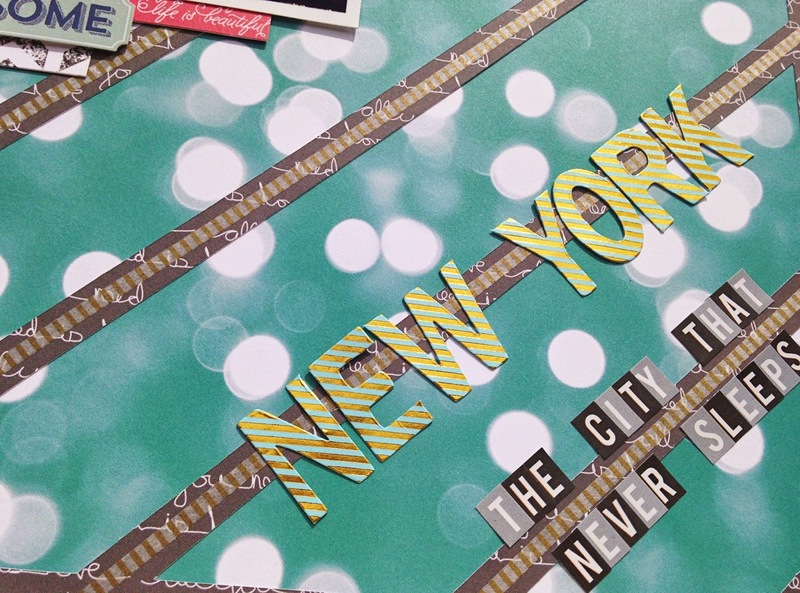 All the background stripes are covered with the small gold striped washi tape. This is gorgeous! LOVING the angles!!! This layout is so cool! I love how you used the die cut as a full page! I love the tape you added as well! It gives it a great look and visual draw! The layers with your image and the sewing works so well with this layout! Fantastic job! These papers are so perfect for your photo, Danielle! Love the diagonal design! I tried using that bokeh paper but it stumped me so I moved on to something else as a background. LOL! Love the diagonal lines and title Danielle, and that's such an awesome photo! !